There are two versions of "Storms in Africa", one in Gaelic and one in English. The Gaelic version is our personal favourite, which we have included here. Both versions were released as a single in 1989. Enya: "The title actually came from Nicky for this one. It was an instrument, the Juno 60, and it’s got this arpeggiator, and he had set it, and he had said to me ‘I’d love you to write the melody with this sound and the arpeggiator’ and he left me for a few hours. And what happened was the chord sequence for ‘Storms in Africa.’ So I worked very closely with him on the theme, because, once he had heard the initial chord sequence with this sound, he came up with the title ‘Storms in Africa,’ and so we took it. He guided the direction, the arrangement to that song. And it was nice – it was a different approach yet again." ‘Storms In Africa’ first appeared on ‘Watermark’ in its original Gaelic version. The following year, Enya re-recorded the song with English lyrics and released the new version entitled ‘Storms in Africa (Part II)’ as a single. The single came out in June 1989, four months after the original deadline that was pushed because of Enya’s busy promotion schedule. 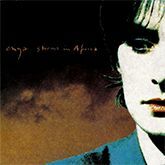 Some countries subsequently included ‘Storms in Africa (Part II)’ as the last track on ‘Watermark.’ Most returned back to the original format but the US and a few others still keep the extra track. The music video includes the English version of the song. It was directed by Michael Geoghegan.